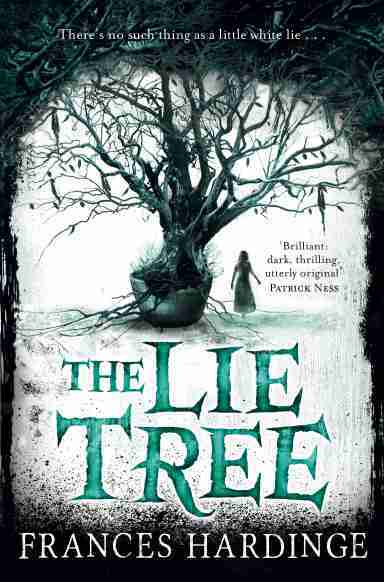 'Faith's father has been found dead under mysterious circumstances, and as she is searching through his belongings for clues she discovers a strange tree. The tree only grows healthy and bears fruit if you whisper a lie to it. The fruit of the tree, when eaten, will deliver a hidden truth to the person who consumes it. The bigger the lie, the more people who believe it, the bigger the truth that is uncovered. I started reading this book a couple of days before it won the Costa Book of the Year 2015. It's so exciting that a children's book has won this award and I can't think of a more deserving recipient! It's a long time since I've read a book with such an original premise. Although this has the feel of a deliciously dark fairy tale, there was no point when I felt like the plot borrowed from anywhere else. The tension accumulates as Faith unearths more clues about her father's disappearance and makes for a thrilling read. Faith is a really interesting main character. As a girl in a past when women were deemed inferior, she's often ignored. This enables her to listen in on conversations and subtly spread her lies. I love it when a character feels so real and at the same time her every attribute is entangled in the plot. Another part of this that I loved was the writing style. The settings in particular were described with language that was somehow both clear and poetic. Take this as just one example: 'The mist flattened everything and sucked out all colour. Trees became intricate smoke-hued doilies. Buildings were featureless outlines, eiderdown grey.' So beautiful and evocative! This book was also incredibly well-researched. The references to the theory of evolution adding a fascinating element and the many historical details created an impression of realism. My favourite (and most morbid) aspect of this was when Faith encountered a local boy whose photographer father was often hired to take pictures of the dead. Everything about this book was so wonderfully creepy and well-executed that I can't think of a bad thing to say about it. I'm really looking forward to reading more by Frances Hardinge! Mostly I read Young Adult these days, though I was intrigued by the premise of this when I discovered it on Twitter. I was optimistic about the historical, mysterious feel to the blurb and this book absolutely lived up to it! Often when a novel has alternating viewpoints, I find myself rushing to my favourite character. Both Grace and Harriet had compelling story lines and I loved trying to work out the connections between their stories. All of the characters were interesting in their own ways and it was great to spot some of them in both narratives. 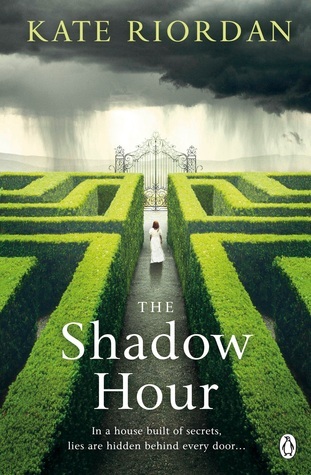 The writing style of 'The Shadow Hour' felt enviably effortless. The alternating first and third person narratives were both executed brilliantly. Kate Riordan's descriptions of Fenix House between the two time periods were suitably creepy and reminiscent of various Bronte novels. The historical aspects seemed well-researched and the modern sensibility behind this made it feel dark and gritty. I'm guilty of having quite a short attention span when it comes to books, generally preferring YA because I can finish them in a few days. This book was addictive, with really suspenseful chapter endings that insisted I read on. There was no point in this that my attention wandered and I raced through the 500 pages! At this point I usually try to think of something I didn't like but I have absolutely no complaints about this book! It comes out tomorrow and I would recommend it to anyone who wants an intriguing mystery that will keep them reading all night! This book came out to incredible critical acclaim and spent more than a year on the NY Times Bestsellers list. 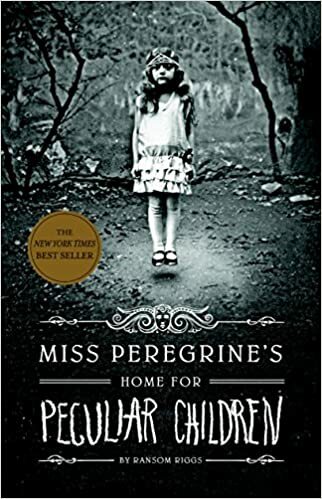 All of that attention is very much deserved, because 'Miss Peregrine's Home' is exceptionally well written and beautiful to look at. I often read E-books but this is definitely one where I needed the paper copy. Basing a book around a series of found photographs is such a unique idea! They add a sense of this being someone's secret scrapbook or journal. The photographs themselves are fascinating and very well-selected, enhancing the story and creating a unique reading experience. The premise of this is as unique as the format. I loved the idea of Jacob visiting Miss Peregrine's Home to find out more about his recently deceased grandfather. This felt like a mystery, historical fiction and a fantasy mashed together and yet somehow this worked really well. These different elements created a tense, well-paced plot. My other favourite part of this was the characters. Without giving too much away, there were a lot of characters in this and yet they all felt well-developed and believable. I especially liked Jacob and loved reading a book solely from a male point of view. Issues surrounding his mental health were also dealt with in a very sensitive but real way. The only downside of this for me was that I would've like to know more about the villains of this world. They were introduced and their motivations were made clear, but I was intrigued to know more. This will possibly happen later in the series, which I will definitely be continuing with. It isn't often that I read a book so entirely fresh and unpredictable and I would highly recommend it. I don't know why it took me so long to read this book, because I absolutely adored it! It only took me a couple of days to read and I've since read this second and third book in the series. This is a testament to how addictive and compelling these books are! I really liked how this created a fresh take on the dystopian by tapping into the obsession with celebrities and the media. It's been a while since the premise of a dystopian has hooked me in like this one! The romance deserves a paragraph of its own. Sometimes love triangles grate on me but this one was meaningful and contributed to the conflict throughout. Maxon was a great love interest, with his own challenges and issues rather than being just more two-dimensional eye candy. I liked America as an MC and overall felt that she was a strong and sassy lead. My only quibble with is that sometimes it felt like there was too great an emphasis on wealth and appearance. I get that this is escapism (and it really does this job terrifically well!) Sometimes there were moments when America was thinking about how pretty she felt etc. when she had more important things to worry about. 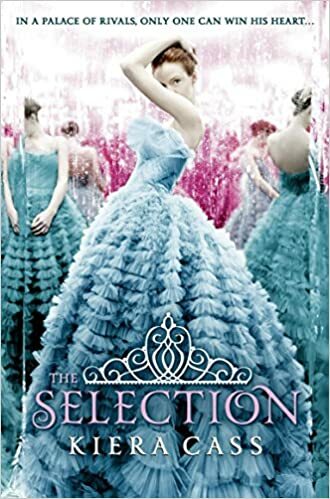 Another great part of this book is that America's competitors felt like relatable girls in a stressful situation, when they could easily have been portrayed as just bitchy obstacles to America's relationship with Maxon. By the end of this there was a real feeling of sisterhood and camaraderie between the girls and I loved that! This was a super enjoyable read and I'll definitely check out the fourth and fifth book in the series.